If you don’t like what’s being talked about, change the conversation. This is exactly what a group of young people are doing in Palmerston, 20 kilometres south-east of the Darwin CBD. Despite undergoing a significant period of infrastructure growth and development in recent years, the mindset of many residents has failed to move forward at the same pace as new buildings, green spaces and the city’s well-known water park. Perceptions around young people in particular remain negative. So, with that being the case, a group of Palmerston locals are wanting to contribute to the formation of a stronger community, while at the same time changing the viewpoint towards young people from a negative to a positive. “We’re trying to show adults that not all of us young people are the same,” said Kaitlyn Pogel, a 19-year-old spearheading the crusade for change in Palmerston. With support from the Chief Minister’s Office, Kaitlyn and a group of her peers have consulted with 150 additional young Palmerston residents to develop a Youth Action Plan that will help ensure young people play their part in creating an improved city. There’s no sugar-coating the fact that there are issues involving many young people in Palmerston, a fact that would apply to many other parts of the Territory, but the hunger for change is apparent and the first start towards this through community conversation. “If we show them why some of these kids react the way they do, and what some of their home lives are like, we’re trying to see how we can turn the negative energy into a positive and show that many kids who have come from real bad homes have succeeded later on,” said Kaitlyn. The group of young change-makers have also linked with Palmerston Shopping Centre where they are setting up a stall each week that acts as an information hub to challenge older residents to engage with young people and to hear their stories. The stall allows for the group to share their thoughts with regard to the challenges they face, while at the same involving the entire demographic of Palmerston in the process of devising solutions for how these challenges can be overcome. There’s a long way to go, no doubt, but with young people like Kaitlyn leading the way the people of Palmerston will see the narrative around the city’s younger population changing for good in the not-too-distant future. 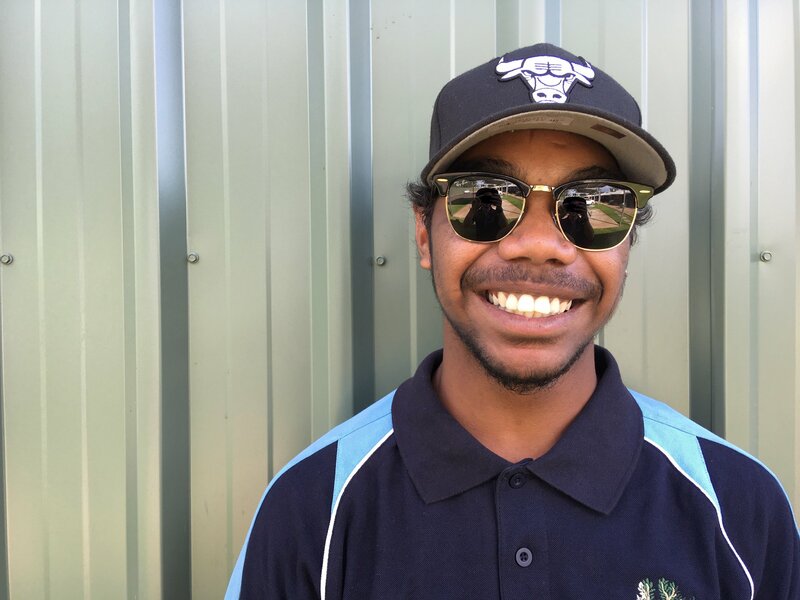 18-year-old Jeffrey from the Tiwi Islands spent six weeks with the Youth Bail Support Program run by Saltbush Social Enterprises in Alice Springs. Serving as an alternative to remanding a young person in custody, the program is akin to a stable and supportive family-like environment. After serving his time Jeffrey has now gained employment with Saltbush, acting as a mentor for those who are currently on the program. "The court sent me to Alice Springs, as I was running amok in Darwin. I came to Saltbush on the bail support program and got to meet a whole bunch of great people and I turned my life around. Now I've finished my time and I'm working with Saltbush as a mentor, hoping to inspire the next group of kids coming through and let them know they that they can have everything."